A neighbourhood is the basic unit of residential development, comprehensively planned and maintained over the long term. 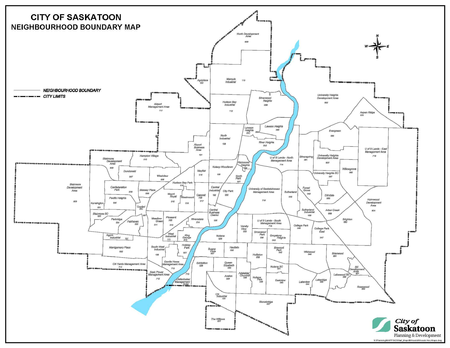 Many older Saskatoon neighbourhoods were defined be elementary school catchment areas. The boundries of some neighbourhoods were adjusted when the schoold boards no longer required students to live in their school catchment area. The boundaries of neighbourhoods are now defined by “natural” barriers such as major streets, railways and bodies of water. Please use this alphabetical list to learn more about Saskatoon neighbourhoods. Each Saskatoon neighbourhood has its own features and characters. This information is important while determining where you want to live in Saskatoon. If you are in the market to purchase your next home, Slade Desrochers can help you find the perfect home for you and your family, in your preferred neighbourhood. #AskSlade 306-222-9992 for more information today.